Sample the thrills, spills and excitement of drone racing with the new Skyflash all-in-one set from FTX. 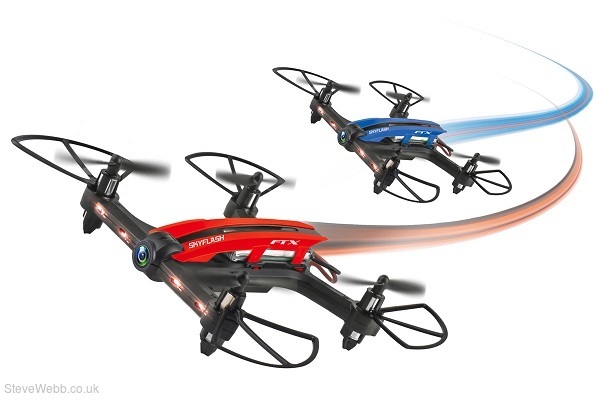 At an entry level, affordable price point the FTX Skyflash comes complete with a full featured drone sporting a built in camera, one key return, 6-axis gyro for stabilisation, LED lighting for direction and positioning, adjustable speed modes and more. 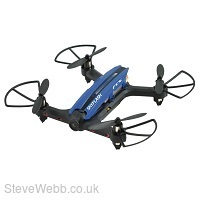 With a choice of flying experiences you can choose how to enjoy the FTX Skyflash. Fly as a stand-alone drone via the 4-channel radio; sample FPV (First Person View) by connecting a smart phone to the camera feed for live video feedback. Don’t want to use the transmitter? 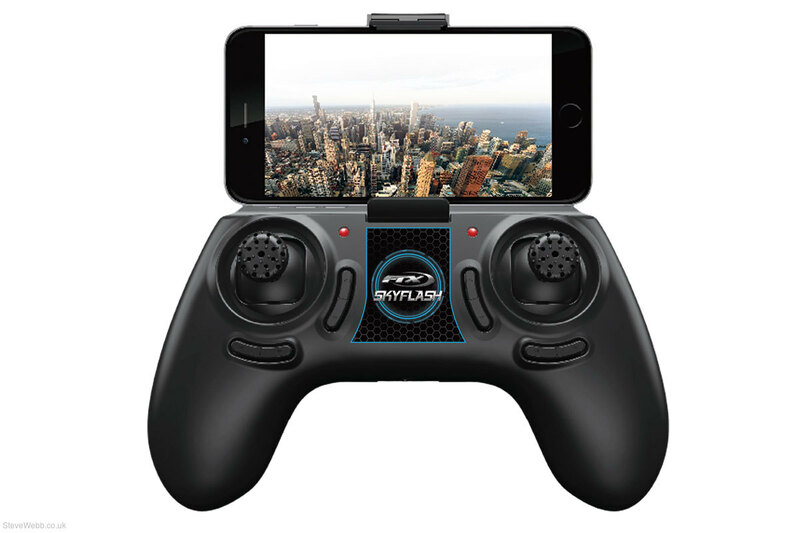 No problem, you can fly your Skyflash directly from your smartphone via the FTX App. Finally you can take yourself away and experience flying from a whole new perspective through the VR glasses. Just connect your smart phone to the FTX app and place it inside the VR Glasses for live feedback from your Skyflash-es front mounted camera.